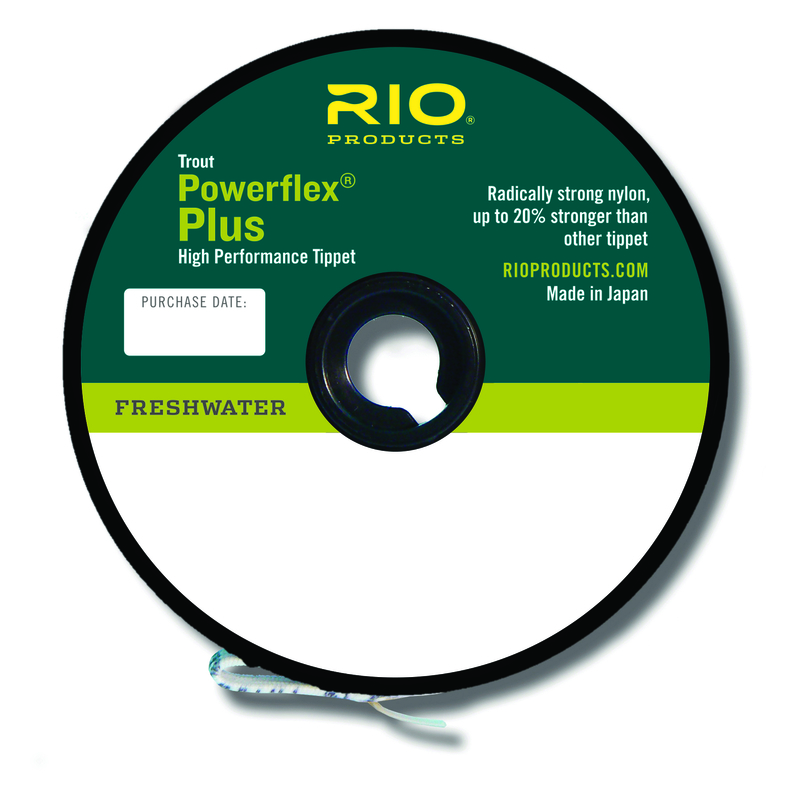 RIO’S Powerflex Plus Tippet. RIO’s newest tippet is the strongest nylon tippet material ever made, with tensile strengths up to 20% more than regular tippet. A highly technical formulation of the nylon copolymer manufacturing process has resulted in this prodigious strength increase, without compromising knot strength or suppleness. Simply put, this is the strongest, most reliable tippet ever made. Each spool has the added bonus of 50 yards of tippet.